Unfortunately for the exhausted men, the whaling station where they had been hoping to seek help was on the far side of the island. Leaving the others camped out with the boat, Shackleton, Crean and Worsley set out on foot to begin another never-before-attempted journey – traversing the island’s mountainous interior. I just thought that this was a wonderful story, and having met Aileen I could see the determination and that idea of somebody going to such great lengths to follow him really, to stand where he stood. 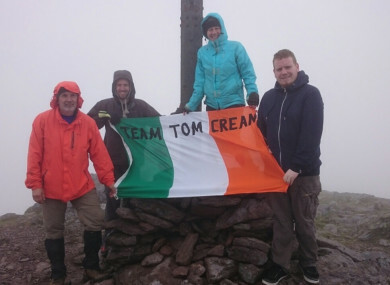 Email “Audio diaries detail Tom Crean's grandaughter's arduous journey in his footsteps”. Feedback on “Audio diaries detail Tom Crean's grandaughter's arduous journey in his footsteps”.